The UN’s Refugee Convention is increasingly marginal to the way in which refugee protection happens around the world. I believe that this is a bad thing—both for refugees and for states. Yet today, and despite the fact that 148 countries have signed onto the Refugee Convention, the reality is quite the opposite. Most refugees today are not allowed to live independent lives. Most refugees are maintained by an international organization. And most refugees are emphatically not allowed to provide for their own needs. Most refugees today do not enjoy the freedom of movement to which they are entitled under international law. In an especially cruel irony, the UN’s refugee agency—the United Nations High Commissioner for Refugees (UNHCR)—runs more refugee camps than anyone else. Not only is this response unlawful, it is absurdly counter-productive. Refugees become burdens on their hosts and the international community, and they are debilitated in ways that often make it difficult for them ever to return home, integrate locally or resettle. The risk of violence in refugee camps is also endemic—with women and children especially vulnerable to the anger that too often arises from being caged up. One thing that is not wrong is the Refugee Convention itself. Its definition of a refugee (“a well-founded fear of being persecuted” for discriminatory reasons) has proved wonderfully flexible, identifying new groups of fundamentally disfranchised persons unable to benefit from human rights protection in their own countries. At least as important, its catalog of refugee-specific rights remains as valuable today as ever. The underlying theory of the Refugee Convention is emphatically not the creation of dependency by hand-outs. It guarantees the social and economic rights that refugees need to be able to get back on their feet after being forced away from their own national community—for example, to access education, to seek work and to start businesses. And as was patently obvious to the states that drafted the refugee treaty, refugees could not begin to look after themselves, much less to contribute to the well-being of their host communities, if they were caged up. Operated by UNHCR, the Zataari Refugee camp in Jordan houses nearly 80,000 Syrian refugees. For this reason, as soon as a refugee has submitted herself to the jurisdiction of the host country, satisfied authorities of her identity and addressed any security-related concerns, the Refugee Convention requires that she be afforded not only freedom of movement, but the right to choose her place of residence—a right that continues until and unless the substance of her refugee claim is negatively determined. Indeed, a recent study shows that those countries that do facilitate refugee freedom of movement are often economically advantaged by the presence of refugees. Why, then, are so many refugees subject to constraints on freedom of movement? Part of the reason is that setting up refugee camps is an easy “one size fits all” answer that can be quickly and efficiently rolled out by both the UNHCR and many of its humanitarian partners. When there is a political imperative to act, the establishment of camps is a concrete and visible sign of engagement. 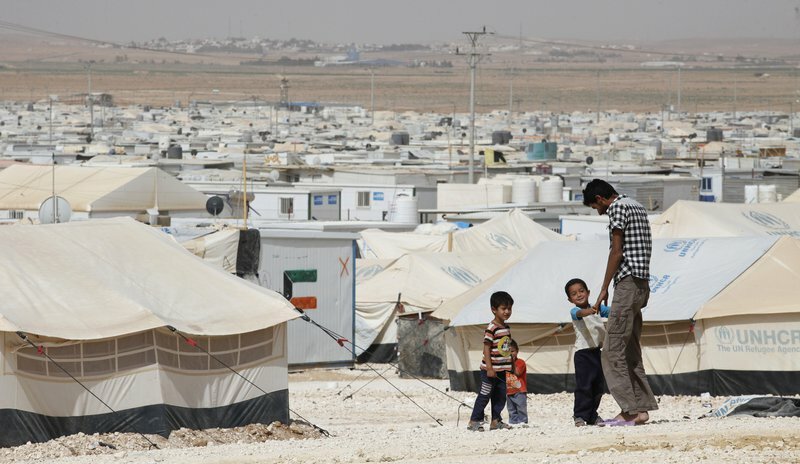 Indeed, even as the rest of the world largely ignored the regional states receiving most Syrian refugees, international donors stepped forward to finance the building and operation of refugee camps. Most fundamentally, though, denying mobility rights to refugees is a strategy that appeals to states that would prefer to avoid their international duty to protect refugees. While not willing to accept the political cost of formally renouncing the treaty, states with the economic and practical wherewithal have for many years sought to ensure that refugees never arrive at their jurisdiction, at which point duties inhere. Deterrent practices have, however, been increasingly and successfully challenged in courts. Of course, poorer states, as well as those with especially porous borders, have rarely been able to deter refugee arrivals at all. In this context, refugee detention—often accompanied by other harsh treatment post-arrival—is seen as a second-best means for a state to “send a signal” that they are not open to the arrival of refugees. But why are states so often unwilling to receive refugees? Safety and security are of course frequently invoked. While such concerns can be real, there is no empirical evidence that refugees present a greater threat of crime or violence than do the many other non-citizens routinely crossing borders, or indeed those already resident in the state—including citizens. In any event, the Refugee Convention takes a very hard line on such cases, requiring the exclusion from refugee status of any person reasonably suspected of being a criminal, and allowing states to send away those shown to pose a threat to their safety or security—even back to the country of persecution if there is no other option. Most governments believe that refugees who arrive at their borders impose unconditional and indefinite obligations on them—and on them alone.The real concern is instead that most governments believe that refugees who arrive at their borders impose unconditional and indefinite obligations on them—and on them alone. The idea that the arrival of refugees can effectively subvert a state’s sovereign authority over immigration is understandably unsettling to even powerful states. For states of the less developed world, which receive more than 80% of the world’s refugees, the challenge can be acute. They are supported by no more than the (often grossly inadequate and inevitably fluctuating) charity of wealthier countries, and rarely benefit from meaningful support to lessen the human responsibility of protection. Of the roughly 14 million refugees in the world last year, only about 100,000 were resettled—with just two countries, the United States and Canada, providing the lion’s share of this woefully inadequate contribution. The challenge, then, is to ensure that refugees can access meaningful protection in a way that both addresses the legitimate concerns of states and which harnesses the refugees’ own ability to contribute to the viability of the protection regime. This is not just another tired call for states to live up to what they have signed onto. It is rather a plea for us fundamentally to change the way that refugee law is implemented. The obligations are right, but the mechanisms for implementing those obligations are flawed in ways that too often lead states to act against their own values and interests—and which produce needless suffering amongst refugees.